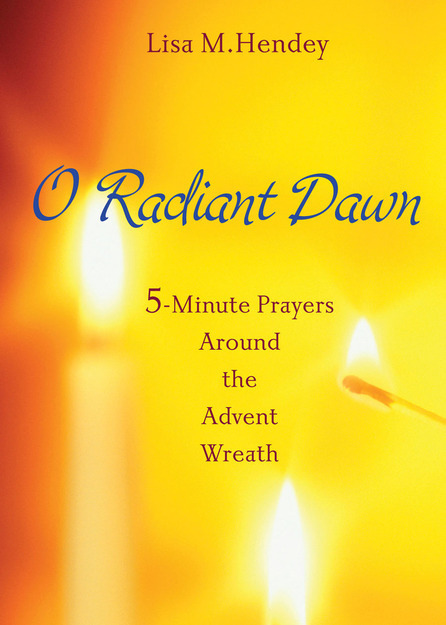 I'm thrilled to share the happy news that just in time for Advent, I've created and published a Kindle version of my Advent devotional O Radiant Dawn: 5-Minute Prayers Around the Advent Wreath. When it was originally published in 2012, this simple page-per-day family resource became a fixture for many of my friends and loved ones. Sadly, as sometimes happens, the book went out of print a few years ago. Since then, I've sold through almost all of my remaining copies and continue to receive requests for this pint-size prayer aid. So this month, I've uploaded the book to Kindle and have also self-published a new paperback version. You can find both at Amazon (via the links below), but if you prefer to purchase a signed copy, feel free to email me at lisahendey@gmail.com and I can get one to you for $5 (which includes postage). O Radiant Dawn is now available in paperback and Kindle versions just in time to celebrate Advent! O Radiant Dawn is designed to help you and your loved ones find the solace of a few moments of peace, anticipation, and togetherness during the busy weeks leading up to Christmas. And though it feels as if summer just ended, Advent actually begins on December 2. That will be here in no time! This daily prayer book is created for use around an Advent wreath in households of any configuration. It contains twenty-eight devotional services, each designed to last only five minutes--an achievable goal for busy families. The single-page service includes: 1) a simple candle lighting, 2) a brief scripture passage paired with a reflection question for adults and older children and one for younger children, 3) silence, and 4) a closing prayer. Rooted in scriptural images of light, the booklet can be used perennially. If you've already read and enjoyed O Radiant Dawn, I'd be honored if you would consider going to the new Amazon links and leaving a review for this new version. Reviews help other buyers to make educated decisions and are a big blessing to authors as well, as they help us improve in our craft and meet your needs with our work. I pray that O Radiant Dawn will be a blessing to you and your family this Advent season!